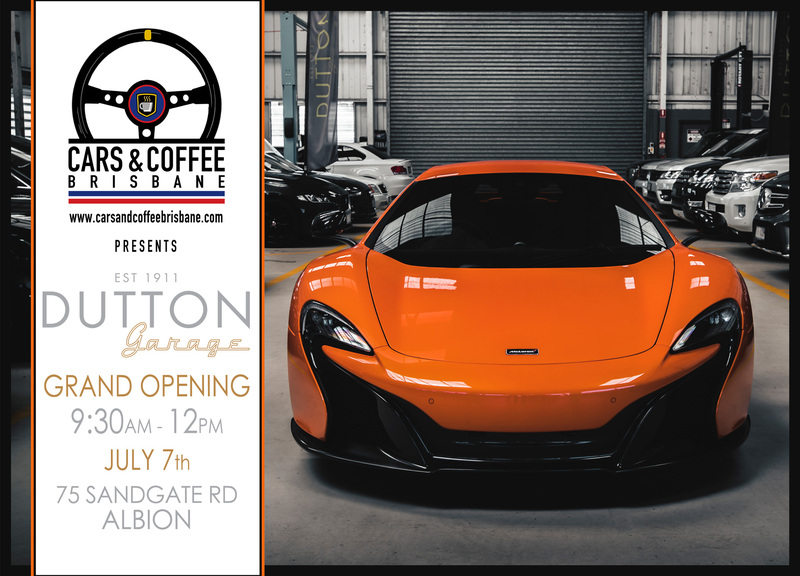 Cars and Coffee Brisbane are very proud to announce the grand opening of the Brisbane arm of Australia’s largest luxury car wholesaler, Dutton Garage. Established in 1911, Dutton are the mainstay of luxury, prestige, exotic and classic cars sales in this country. After July Cars and Coffee at Coorparoo, why not make your way over to their brand new showroom at 75 Sandgate Road, Albion for a continuation of Cars and Coffee. They are bringing some of their rarest machines up from Melbourne, and are excited to showcase what they have on offer. Running from 9.30am until noon on July 7th, this should be a morning to remember at Dutton Garage Wholesale Qld. Bring along your ride, park it out the front and wander through a collection of cars from their personal stock, and other local machines. The Bratmobile & Flinders Coffee will be there and there will be massive amounts of parking, so come and help create the launch of the year!